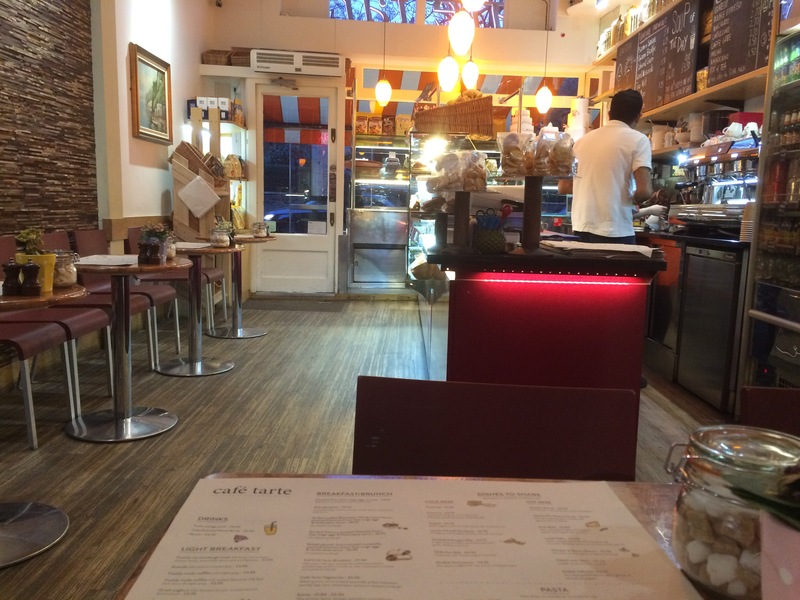 Café Tarte is one of those little gems I almost don’t want you to know about and save it for me myself and I. I stumbled across the café after getting off at a nearby bus stop en route to High Street Kensington station. I had time to kill before Evoluzione event, the shop front of Italian cakes and sweet treats and the blackboard for the cake and tea offer for £4.95 made me turn back and walk in. It took a long while for me to choose a cake, they all looked delicious. Good size portions and well presented. Eventually I ended up with the baked cheesecake. Seated down I admired the cute menu with hand drawn doodle illustrations. The menu mainly focuses on breakfasts and brunch, some hot and cold mezzes, and a small selection of pastas. 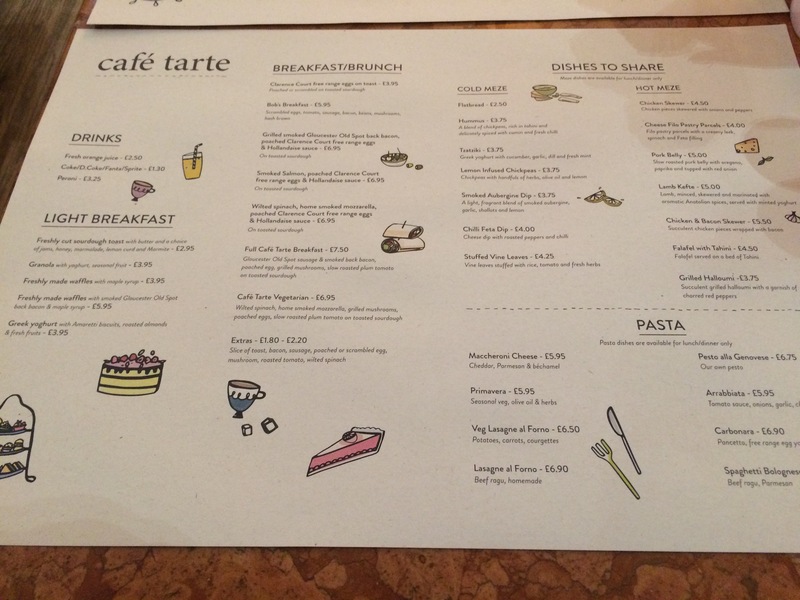 Tea served at Café Tarte is their own special blend, which the staff doesn’t quite know what’s in it themselves. 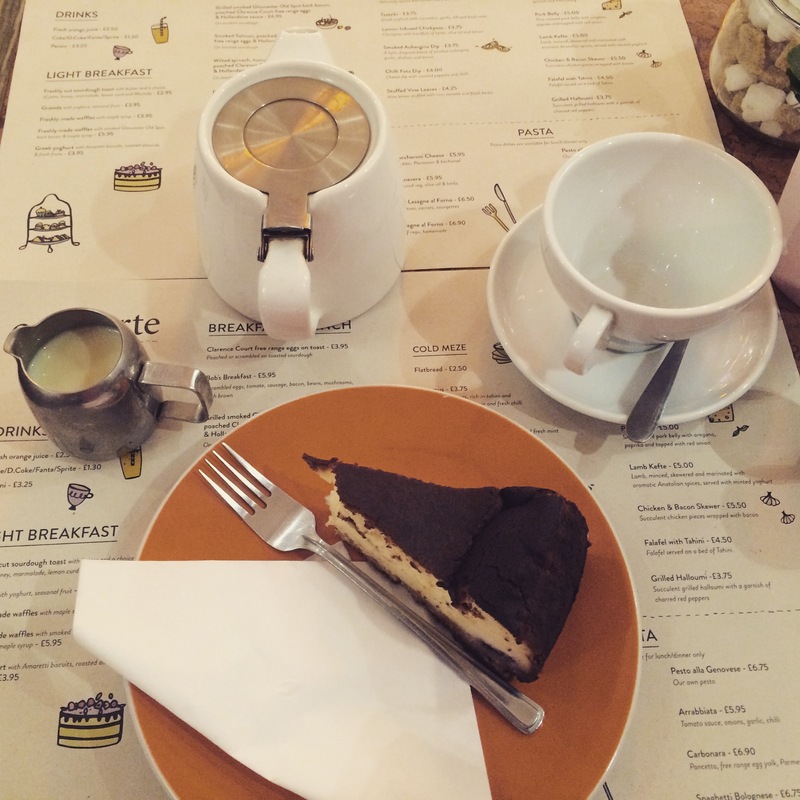 The baked cheesecake came in a thick wad slice. Smelling like it came fresh out a hot baked oven. 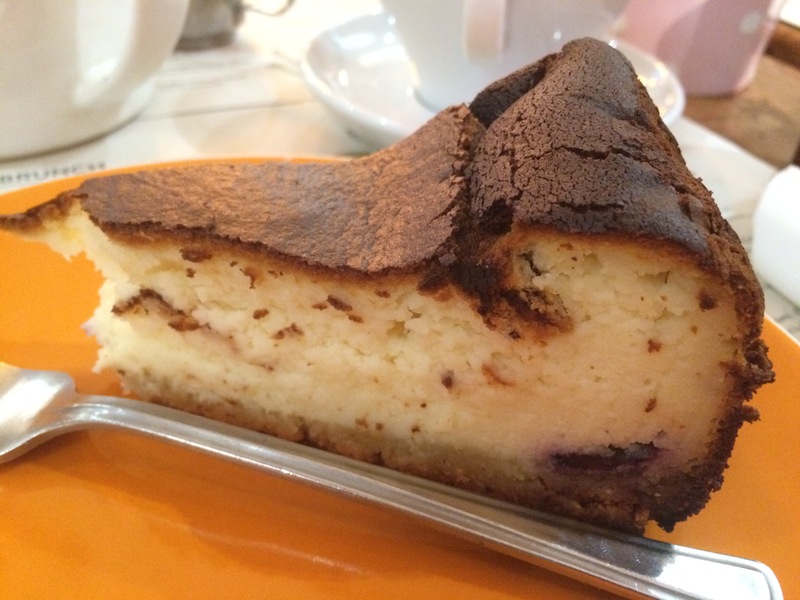 A chocolate-brown colour exterior with a soft crumb base, the filling was light fluffy and very smooth with hints of blueberries. If you tasted Starbucks blueberry cheesecake this one is miles better. I happily come here again for the cakes and the breakfast menu.